Can anyone stand another egg? 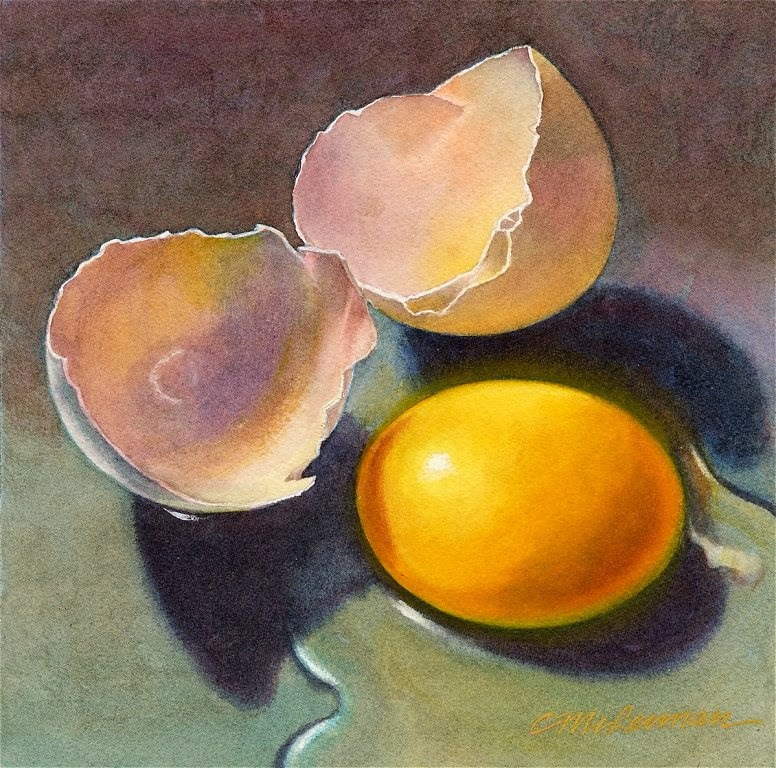 I am exploring possible subject matter for my upcoming watercolor class and find that eggs, while seemingly simple, offer a surprising number of learning opportunities and compositional choices: arrangement, point of view, lighting, color, etc. Right now my biggest struggle is finding a good affordable brush. I learned with and have used Windsor Newton Series 7 (Kolinsky red sable) brushes exclusively, and they remain the absolute best. For awhile they were banned in the U.S., and, although available again, the cost for most beginning students (or anyone not committed to watercolor) is prohibitive. The #8 required when I was a student now costs $176! I am experimenting with synthetics, but they are nowhere near the same. Even my old Series 7's that have lost their points are better. Sad face.